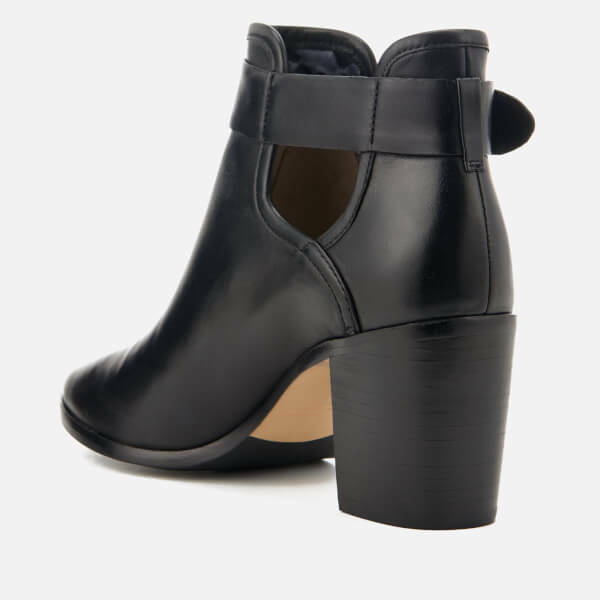 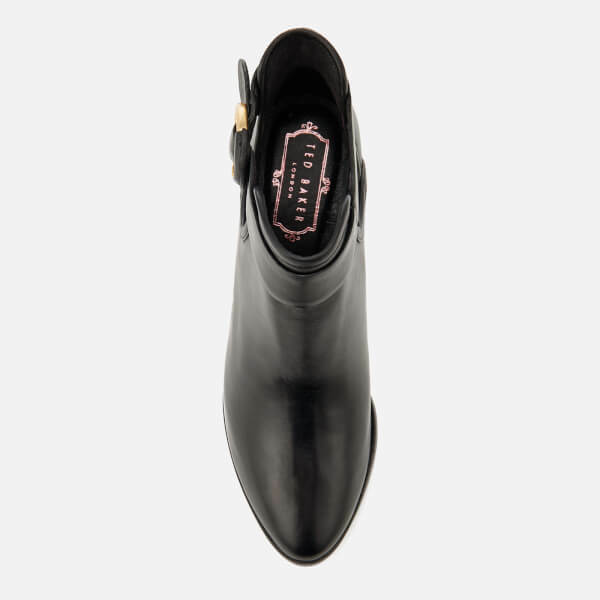 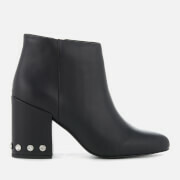 Women’s black leather ankle boots from Ted Baker. 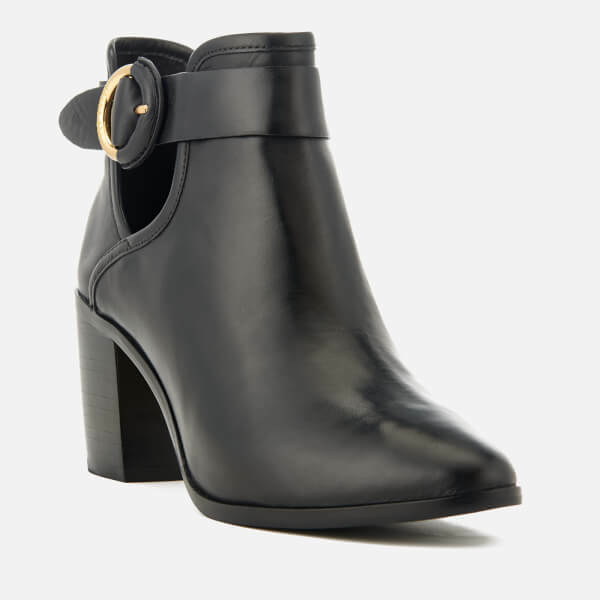 Crafted with rich leather uppers, the ‘Sybill’ ankle boots feature a buckle fastened strap with gold-tone detail, a stacked block heel and cut out detail to the sides. 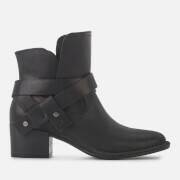 Complete with an Ortholite® padded insole for optimal comfort and logo-engraved detail to the buckle. Upper: Bovine Leather. 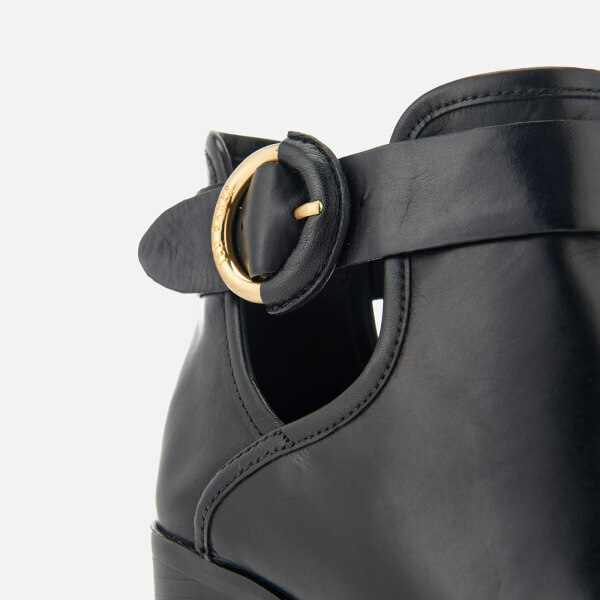 Lining: Cotton/Polyester. 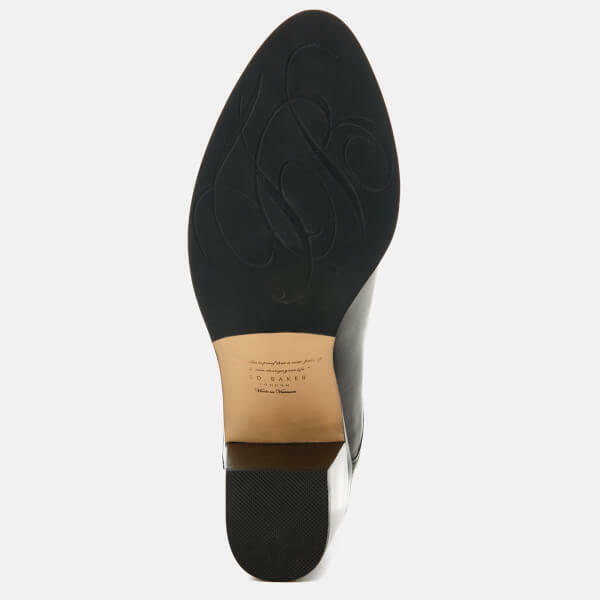 Sole: Resin.